The new Redmi Series Phones are awesome at that Price tag. However for those who are dual sim phone owners, must be disappointed because you can either choose Extra Space; or Dual Sim with internal space. Means you can Use Dual sim without Sd Card or Single Sim with SD Card. So here is another solution for this. 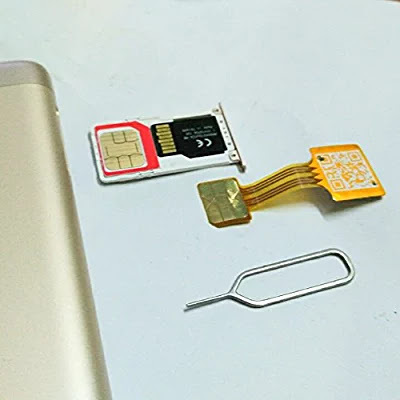 Buy Hybrid SIM Slot Adapter From Amazon which allows you to Run 2 SIM And Micro SD Card, All At A Time at Just Rs.399 + Rs.39 Shipping Charge.